A completely objective means to measure one state’s gun laws against another simply does not exist. There is no cut and dry way to compare laws that are worded differently, and more importantly enforced differently. But academic institutions and lobbyist groups nonetheless love to take the abstract and put it into a study or a survey that appears to show concrete conclusions. While it’s not science, these studies do serve the purpose of generating conversation. Organizations perform the work, issue press releases, and then the news outlets report to the public. And sometimes, if the issue is relevant, a lowly legal blog will continue the discussion. The discussion to be had revolves around the Brady Campaign to Prevent Violence, and its ranking of state gun laws for 2013. The Brady Campaign is the self-proclaimed largest anti gun violence grassroots organization in the country. The organization has been around since the 1970’s but took the Brady name in 2001 with the mission of reforming the gun industry through legislative influence. The 2013 rankings slot Maryland as having the fourth toughest gun laws, only behind California, Connecticut, and New Jersey. The study incorporates a points system based on numerous categories, and even gives out academic letter grades; Maryland merely received an A- and no state received an outright A. The gun law scorecard’s first category is background checks, which is worth more points than all the other categories. Maryland’s new gun law requires fingerprint samples and background checks, but other states are more thorough so a 6 out of 11 was awarded for this category. Other categories include prohibited persons restrictions, which prohibits those convicted of certain misdemeanors or juvenile offenses, those diagnosed with a mental illness, and those on the terror watch list from owning a gun. States were also scored on their laws that regulate the purchase, sale, and transfer of firearms, and the presence of laws that require registration for ownership of firearms. Some states were docked points for having stand your ground laws, and some gained points for strict legislation on assault rifles and magazine capacity. The Brady survey does seem to include an exhaustive list of criteria for evaluating gun laws. That being said, the rankings to little to address two issues that are more important. The first of these issues is how the states implement and enforce their gun laws. There are socially liberal states with strict gun laws that do little to actually punish offenders, and there are socially conservative states with relaxed gun regulations that actually send gun offenders to prison. Florida and Texas are perfect examples; both received a Fs for their gun laws but those who violate these laws are far more likely to serve jail time than those who violate the so called stricter laws in Maryland. Massachusetts received a B+ and neighboring New Hampshire received a D-, but ask any defendant or criminal defense lawyer which state they would rather take on a gun case. 10 out of 10 would say Mass. is cake compared to New Hampshire. The second issue, which in and of itself could be the topic of an entire book much less a blog post, is whether strict gun laws contribute to safer cities and states. North Dakota, South Dakota, and Vermont all received Fs, but the violent crime rates in these states pale in comparison to A- Maryland and California. The same analogy works on a national level as well. While it’s true that gun crime rates dropped in Britain after guns were made illegal, violent crime dramatically increased following the passage of this legislation. Eradicating violent crime is a far more pressing issue that eradicating gun rights, but somehow the studies and surveys of lobbyists lose track of this. Firearm legislation is always a relevant issue to the Blog, and The Herbst Firm will continue to publish articles on this issue. 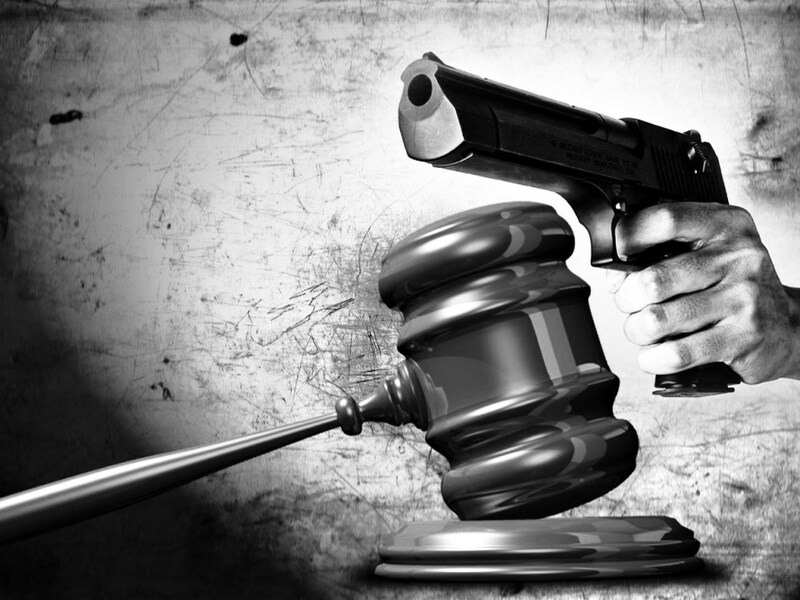 Benjamin Herbst is a gun crimes lawyer practicing in all state and federal courts in Maryland. Contact Benjamin for a free consultation about your case.